Chute and Hopper Liners for Storage/ Handling Facility | Product Information | KURIMOTO, LTD.
A wealth of material variations provide optimal operating conditions. Wear resistant liners used in raw material conveyor equipment (e.g., trippers and chutes) and storage equipment (e.g., bunkers and hoppers) must be made of diverse materials in order to handle the properties of conveyed objects and fit the structure of the equipment. Cast materials and hardened clad liners can be selected taking into account operating conditions and the mountability of liners. Materials can be selected to provide optimal operating conditions. 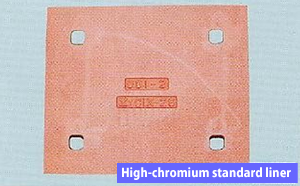 Materials resistant to any sort of abrasion including impact wear and abrasive wear can be selected from hardened clad plates, high-manganese steel, low-alloy steel, and high-chromium cast iron. 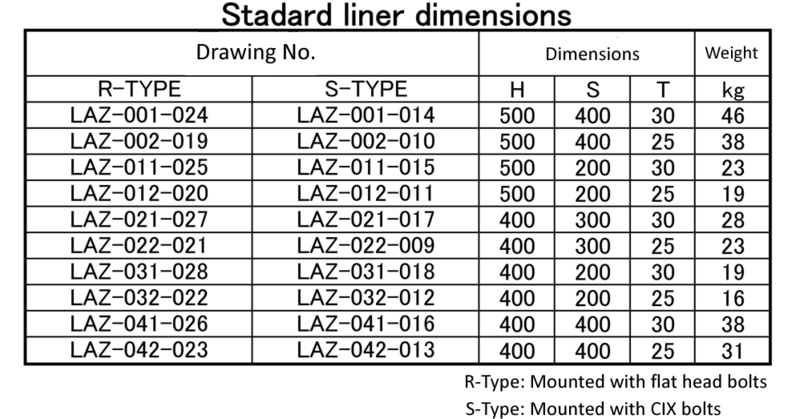 Kurimoto’s standard liners are available from stock. General-purpose, standard-sized high-chromium liners (of 30 mm and 25 mm in thickness) and CIX bolts are available in stock. Hoppers and chutes are also manufactured in-house (by plate working). 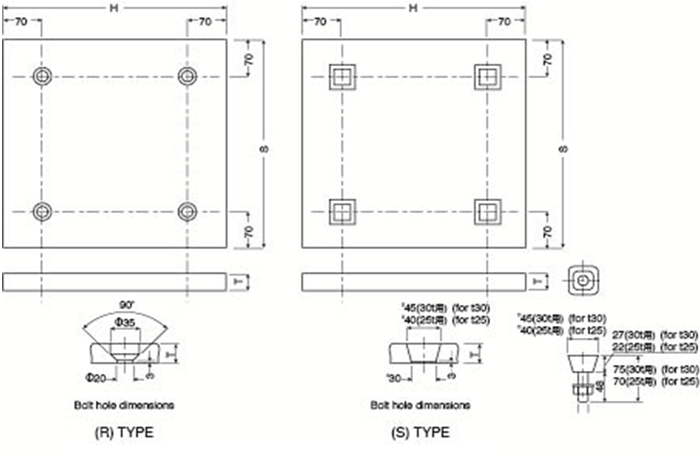 Kurimoto also drafts liner layouts and manufactures new hoppers and chutes. Standard-sized liners makes spare parts inventory control easy. 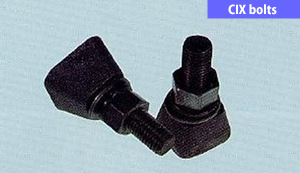 The bolt heads are also made of high-chromium cast iron (high hardness).